It's hard to even write this because I still can't believe it's true... My dear Pero is not here anymore. After Pero, we got two more birdies but I always felt special bond to her because she was always more sensitive and more timid than the rest of them and she trusted me completely. Anyway, exactly one week ago I noticed she was not looking good but I refused to believe there was anything major wrong. Before that she looked fine but in retrospective... Couple of time after the molt she would use all her flight feathers and couldn't fly, I have no idea if this was related to anything but it seemed strange. After that first time she showed signs of illness she looked terrible one minute and fine the next so I was perplexed. Soon she was straining to poop and had really dirt vent. I thought maybe it was an egg so I decided to take her to the vet. By the symptoms the vet also suspected an egg but when he held her he told me that she was really really skinny. I was shocked because she was always much heavier than the rest of my birds and I was really disappointed for not noticing this. He told me he would put her on IV and that we should do an xray scan. So the next day I took her to do an xray. I was so scared and she was scared, I wanted to comfort her but I couldn't. The scan was terrible. They took her and spread her wings and held her while scanning, she was terrified. I almost cried when I saw this. My sweet little bird had some mass in her whole abdomen, not a single organ was visible, just this strange mass that was pressing on all her organs. Vet told me it was surprising she could function at all considering her state. He told me it was impossible to operate because of the size and her general condition and that there is nothing we can do. He was uncertain if it was a tumor or some other tissue but anyway it was eating her from the inside and suggested the most humane thing to do is to put her to sleep. 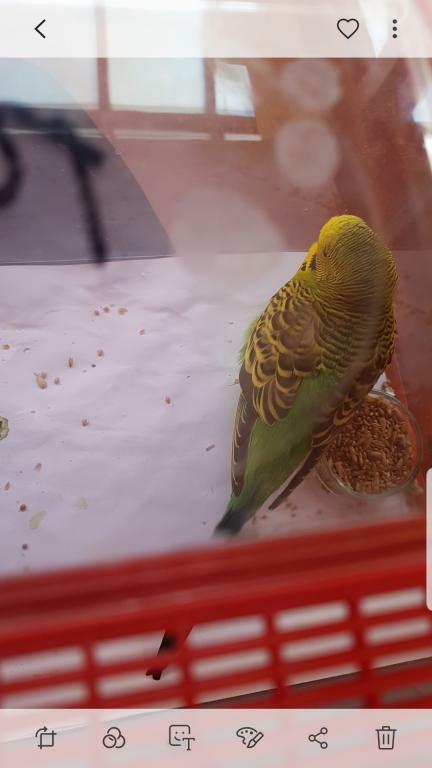 I cried together with the nurse and looked at my budgie. I wanted to take her and run away but I could see she was almost too weak to stand and in pain so I agreed. I couldn't bear seeing her dead body so they put her to sleep after I said my goodbyes and left. I'm very sorry for your loss of sweet Pero. She is now healthy, happy and playing at the Rainbow Bridge where you'll see her again someday. May time bring you peace and beautiful memories. Fly high and soar freely darling Pero; rest peacefully now sweet girl. Rest in peace, little Pero. May you fly among the stars forever. My heart goes out to you during this difficult time. So sorry for your loss. The people that have told you she was just a bird have obviously never shared the love and bond that develops between human and animal. It is natural for you to feel badly and to mourn your loss. Blessings to you in this difficult time. Thank you for your support. I'm sure in time I'll be able to think about her and smile, right now my heart is broken. 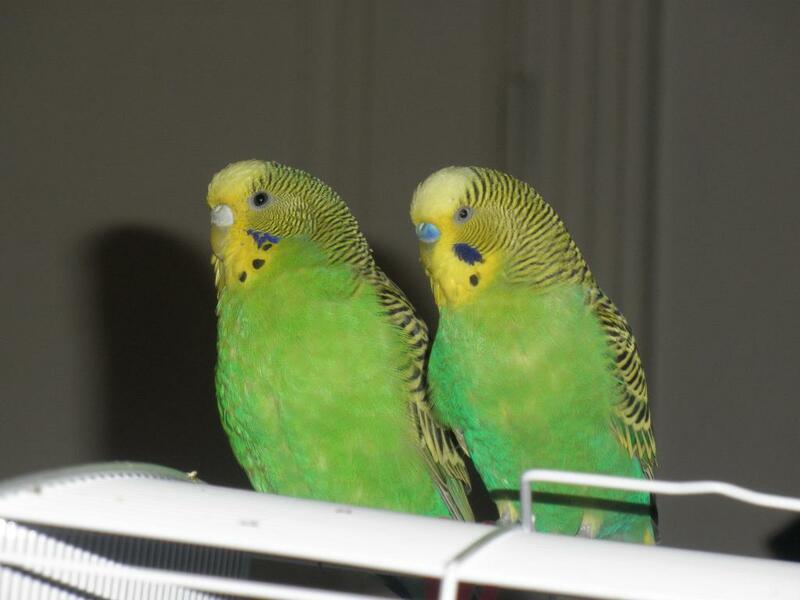 I'm trying to give other budgies as much attention as I can now, you never know when they'll be gone too. Her friend Teo who she loved so much is living alone now in their huge mansion. Different people deal with grief in different ways. Perhaps he feels that it's easier for him to not talk about it. Love to you and Teo! Today I passed by the pet shop where I bought her and by the vet where I last saw her (both are on the same street) and it brought back all the memories. I remembered when she was just a chick and our last morning together. I really do miss her. That last morning was one of the worst mornings in my life but I would go back just to see her once more. Even then I had no idea it would be our last so if I could go back, I would try to hold her one last time. I was so shocked that when I said goodbye I didn't say everything I meant (even though she wouldn't understand). I’m so very sorry for your loss of Pero. Please don’t blame yourself. I understand the emotions you’re going through, and saying “if only I could go back...” But remember, if you knew, you would have. We just never know a lot of the time with birds. Then a lot of the time there is nothing in our power that we can do. I’m so sorry. Pero knew how much she was loved. I am very, very sorry for your loss. Please don't blame yourself, you took great care for her and she loved you for it. Birds, especially prey birds, are adept at hiding any symptoms of disease till it is almost terminal as a defense mechanism against predators. Hence any change in behavior needs to be attended to. Also, don't listen to anyone who tells you to "get over it." They don't get it, how close these birdies get to us. Take your time.